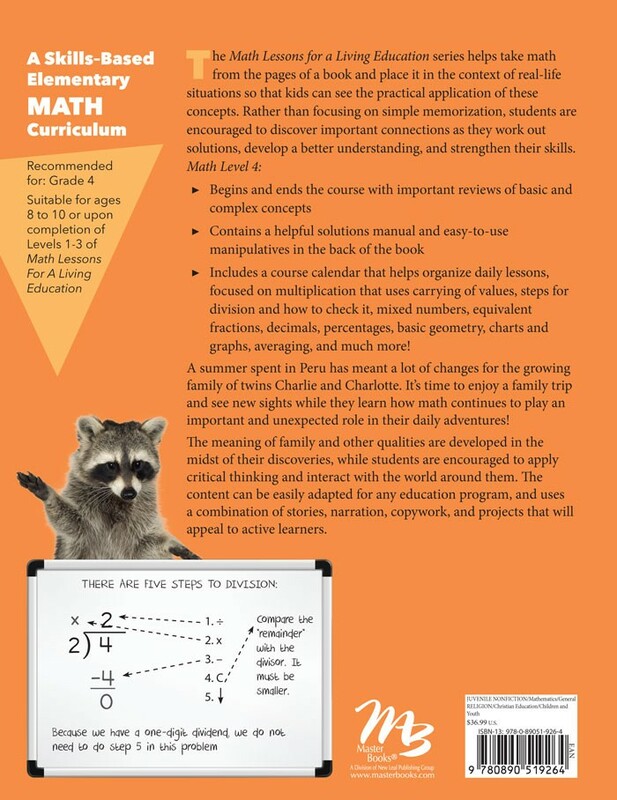 In Level 4, students will learn new fraction concepts, metric units of measurement, basic geometry, averaging, and so much more! Maths Lessons for a Living Education Level 4 teaches maths concepts through engaging, real-life stories and practical application. In Level 4, a summer spent in Peru has meant a lot of changes for Charlie, Charlotte, and their growing family! 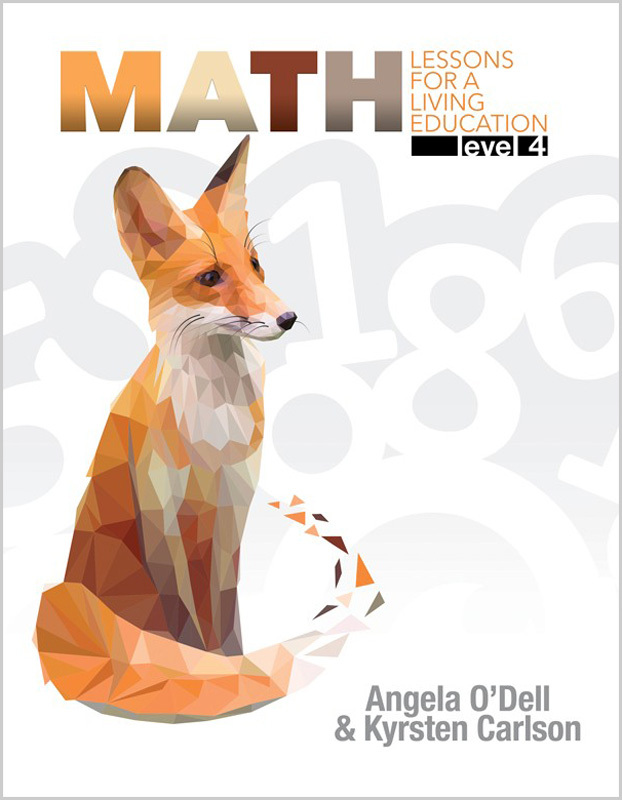 Your student joins them as they see new sights on a family trip, explore the role maths plays in their adventures, develop important character traits, apply critical thinking skills, and discover how mathematical concepts interact with the world around them. Students learn best and retain more when they are engaged in the material and actively applying concepts to everyday life—Maths Lessons for a Living Education engages your student through exciting stories and teaches them how to apply mathematical concepts through everyday life situations—allowing your student to learn smarter instead of harder! Maths is a living subject that happens all over everyday life! In Maths Lessons for a Living Education Level 4 students learn maths concepts such as fractions, metric units of measurement, basic geometry, and averaging through exciting, real-world stories and application. A blend of stories, copy-work, oral narration, and hands-on experience brings the concepts to life, invites the student to explore the world around them, and gives this maths course a Charlotte Mason flavour.